Our desire at New Harvest is to see those that have come to faith in Christ develop and grow into His disciples. If you've come to faith in Christ or you've never taken a discipleship class this is for you! Take the next step in your walk with Jesus into spiritual growth. 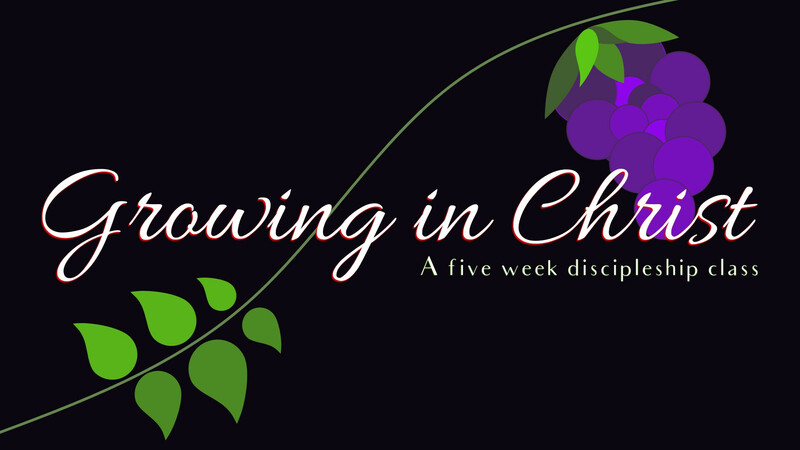 This short 5 week class will help you apply God's truth to "Grow in Christ". Please bring your favorite Bible, notebook, pens and a highlighter. Copies and/or handouts may be available. For more details or information see the reception desk or speak with Pastor Julian or Harold Bayley.